For the first time we have been exhibiting on at the annual highlight for sheet metal working – the Blechexpo 2017 taking place in Stuttgart, Germany from November 7 to 10, 2017. 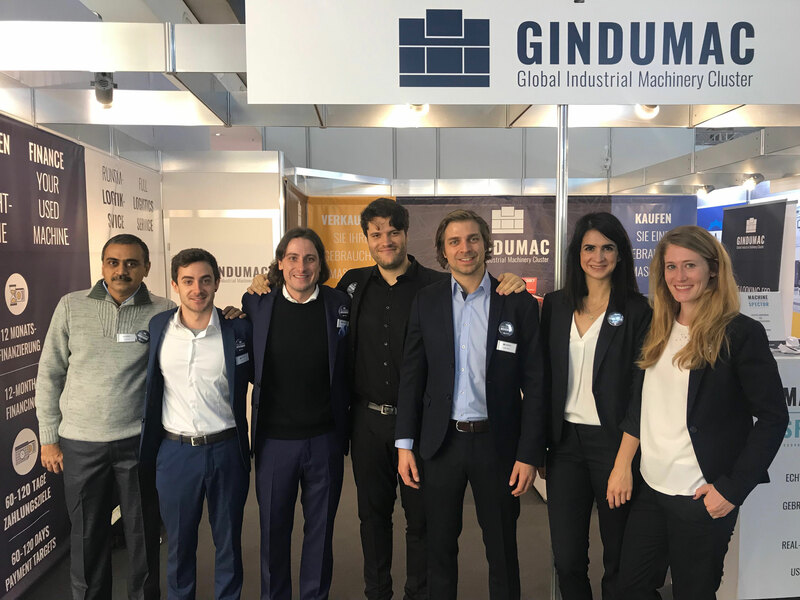 We had the chance to get in touch with industrial professionals from all over the world and presented our future model for the used machinery trading. 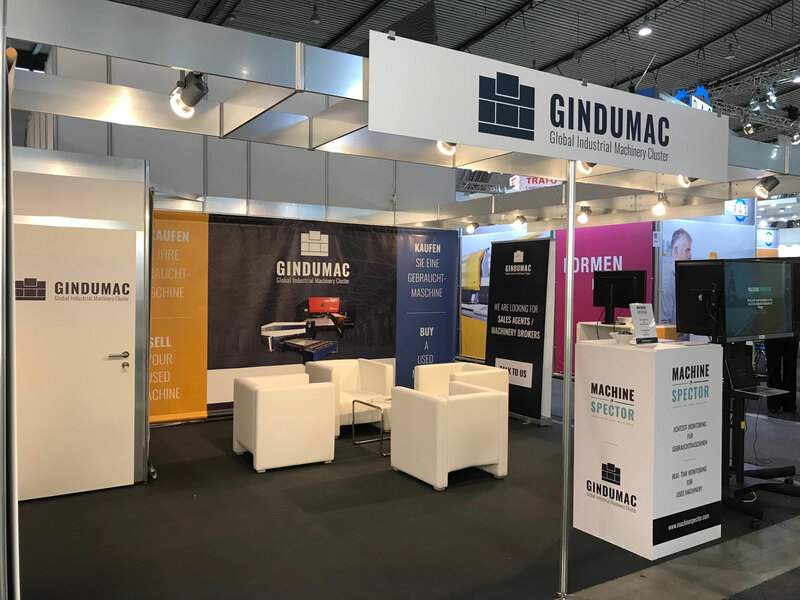 At our booth 1602-1 in Hall 1 we presented how easy, transparent and economical it can be to sell and buy used sheet metal machines working together with GINDUMAC. 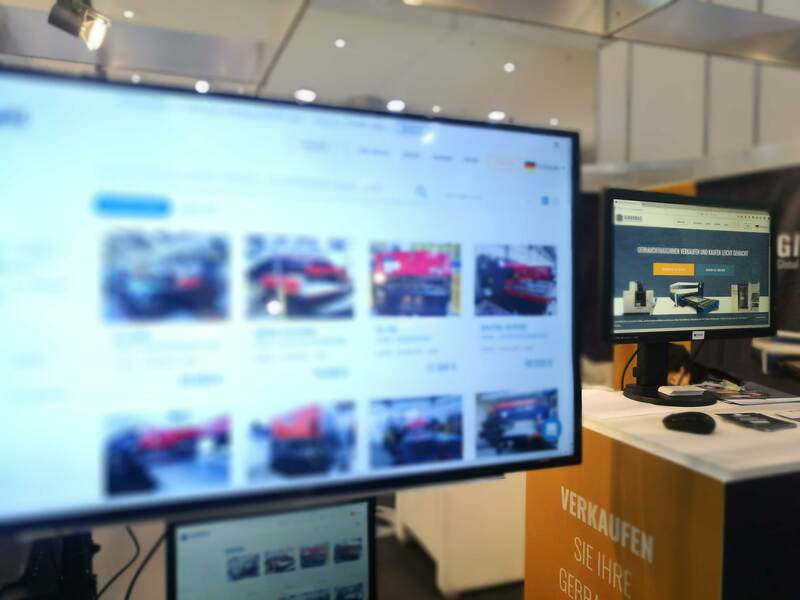 On various digital screens visitors could discover the innovative online platform with its full assortment of pre-owned sheet metal machinery of different manufacturers like Amada, Trumpf, Murata Wiedemann or Bystronic. All sheet metal producers we met have been highly interested to learn more about our extra services like our financing models for used machines (120-days payment or 12-month financing) and our full-service logistics services including transport and installation of used machines. As a first mover in the used machinery trading we revealed the first Industrial Internet of Things (IIoT) solution for the performance monitoring of pre-owned machines called “MACHINESPECTOR”. This world premiere is a pioneering product innovation for machine pools of the future. MACHINESPECTOR adds new digital abilities to used machines and connects them with the new requirements of Industry 4.0. 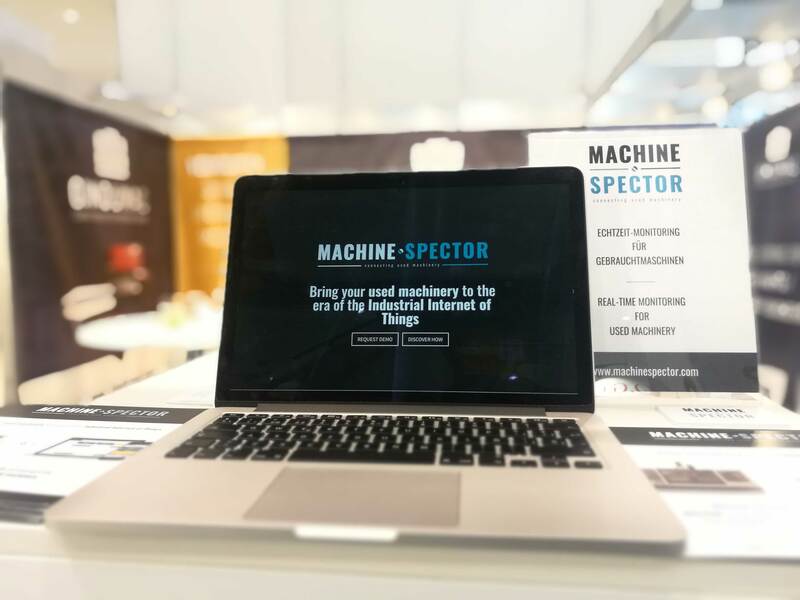 Unit Director, Daniel Sapundziev introduced the visitors to the MACHINE SPECTOR dashboard and showed real-time performance data from a used Bridgeport VMC 800 send from its location in Barcelona, Spain directly to the trade fair in Stuttgart, Germany. Being in contact with partners, OEMs, sellers and buyers of used machines was a valuable experience and generated promising business opportunities. We are looking forward to Blechexpo 2019! 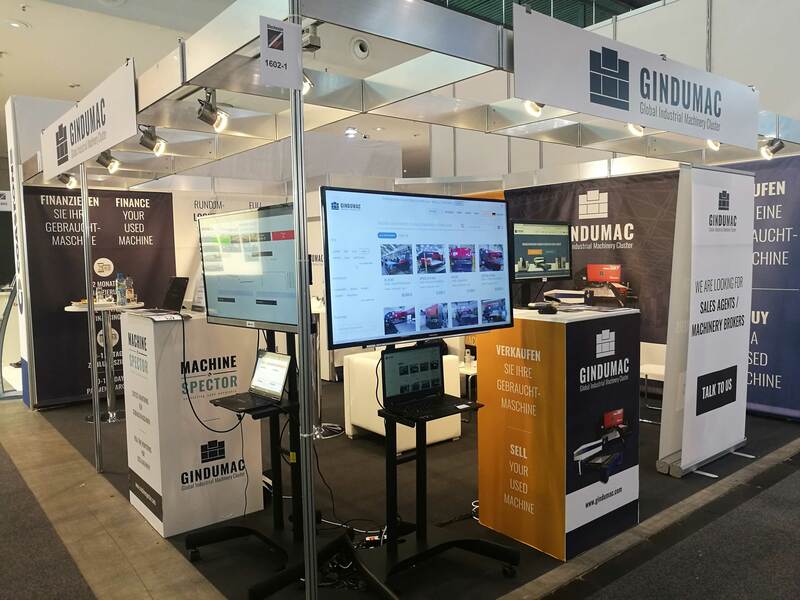 On various digital screens we showed the the GINDUMAC platform and our machine portfolio of machine tools, sheet metal and injection molding machines. See www.gindumac.com for our current machine portfolio.